The Richmond I work in today is far different than the community I grew up in the 1970s. It has emerged from a quiet, suburban municipality of single family neighbourhoods and farms to a vibrant and cosmopolitan city of 200,000 people. Since the early 1990s, the demographics have changed dramatically and Richmond is now home to a large and prosperous Asian community. Many of the most recent immigrants to Richmond have arrived from Hong Kong, Taiwan and Mainland China and they are joining a smaller, more established Asian-Canadian population that includes citizens from Japan, China, India and the Philippines. Before this recent influx, Richmond was mostly populated by immigrants who had arrived indirectly from Great Britain and other areas of Europe, as was more common earlier in the 20th century. As a country built on immigration, it is noteworthy that the last Canadian census (2006) identified Richmond as the city with the highest percentage of immigrants in all of Canada. Richmond includes a colourful montage of restaurants, shops, artistic and cultural events as well as ornate temples and places of worship that make our city interesting and complex. Indeed, Richmond has a growing reputation as one of the very best places to live in Canada, a nation that is usually near the top of the U.N.’s list of the most livable countries in the world. Several world health organizations have identified Richmond as the place where people have the greatest life expectancy in Canada. Generally speaking, the Asian students and families that attend our school also place a very high priority on education. Students are involved and engaged in the school and work hard to do their very best, both inside and outside the classroom. There are challenges, such as engaging and including new parents into our school and balancing the high expectations families often have for their children to attend university with a consideration of other viable post-secondary pathways that may be more appropriate or interesting for some learners. However, overall, our school is a far richer and more interesting place of learning than when I graduated from high school in this very community. As with all changes, there has been occasional resistance from some in Richmond. While we have come a long way since imposing a head tax on Chinese immigrants, the Komagata Maru incident or the internment of Japanese Canadians, signs of change, literally and figuratively, can still create tension. However, if we strive to understand and appreciate our incredible multicultural mosaic, while at the same time embrace what it means to be Canadian, we all stand to prosper. Indeed, young people who are at ease working with a diverse range of people from different cultures will be tremendously advantaged moving forward in our increasingly globalized and interconnected world. One example of the richness added to our community can be seen in Chinese New Year's celebrations. 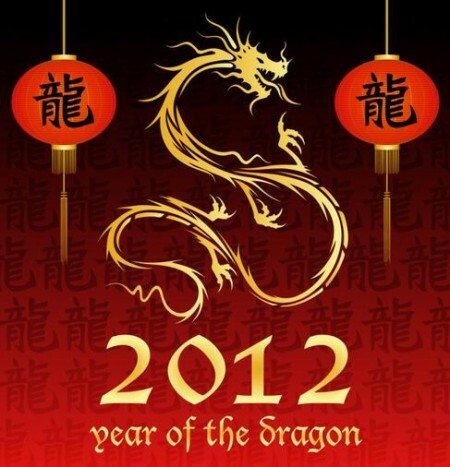 2012 in the Lunar calendar is also a dragon year in the Chinese zodiac. The Chinese New Year is also called the Spring Festival and is one of the most colourful festivals in the world. Recognized in many countries in Asia, the Lunar New Year is a 15-day celebration that this year runs from January 23 to February 6. The Lunar or Chinese New Year is a significant celebration for many in our school community and the city of Richmond recently made a USA Today poll for being one of the 10 great places to experience Chinese New Year. My hope is that everyone who lives here appreciates that our city is recognized as a great international travel destination for people wanting to experience what we have to enjoy every day. Check out a colourful parade or celebration or enjoy some delicious Asian cuisine in the next two weeks to celebrate the lunar or Chinese New Year and may the year of the dragon bring us all good health, happiness and prosperity.